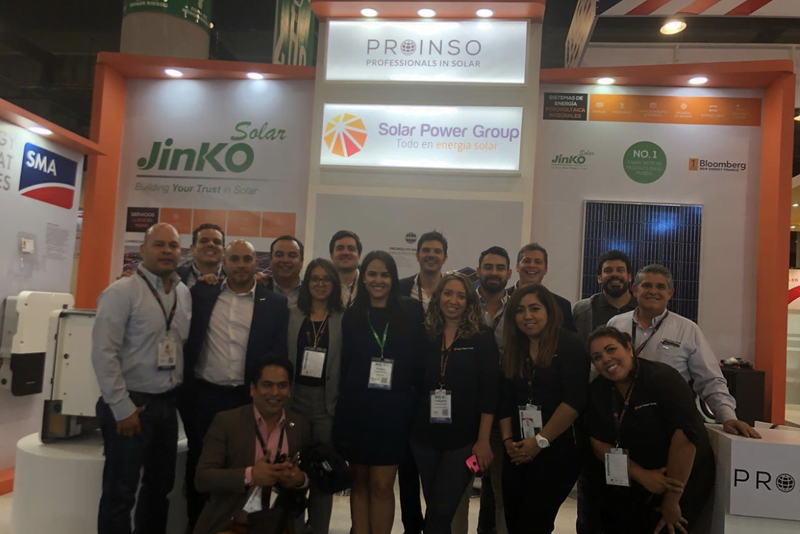 Mexico City, Mexico (29 November 2018): PROINSO,a global leader in the solar energy market, has signed a distribution partnership with Solar Power Group (SPG), a leading solar distributor in Mexico. The synergy will result in an enhanced product and service offering, and higher distribution efficiency. This distribution partnership will allow the companies to consolidate PROINSO’s global experience derived from over 2.7GW of projects and over a decade of partnerships with world-leading solar manufacturers; and SPG’s position as a leading solar distributor in Mexico. PROINSO and Solar Power Group will provide turnkey professional project services to their clients for commercial and industrial, utility, and residential and off-grid projects. PROINSO’s global project experience and long list of corporate and government clients serves as a guarantee of trust and the highest quality of service. PROINSO’s distribution channels will be spread throughout Mexico, with warehouses located in Monterrey, Guadalajara, Manzanillo, CDMX and Nuevo Laredo, resulting in increased speed of delivery and reduced logistics costs, which will ultimately benefitthe end customers. Moreover, PROINSO will continue to provide education to solar professionals through training events, webinars and technical consultations. The partnership will also elevate the product mix to include premium brands such as SMA, Jinko Solar, Longi, QCells, BYD, Trojan and PROINSO PV Rack. Back in 2012, Mexico set an ambitious target to increase the amount of electricity generated through clean energies to 50% by 2050. The solar marketin Mexico has faced exponential growth since 2016, reaching 570MW of installed capacity in 2017. Mexico’s differentiated auction system – free of tax incentives and subsidies -is regarded as one ofthe most sophisticated procurement mechanisms for renewable energy, with the latest auction resulting in the world’s lowest average price for solar in a regulated auction. Solar Power Group is one ofthe top-ranked distributors in Mexico providing full supportfor solar PVprojects including engineering, procurement, installation and commissioning. The company has been working with Tier-1 PV manufacturers to offer bankable solutions for residential and commercial solar projects. Their portfolio counts over 50MW of projects in Mexico supplied since 2014.